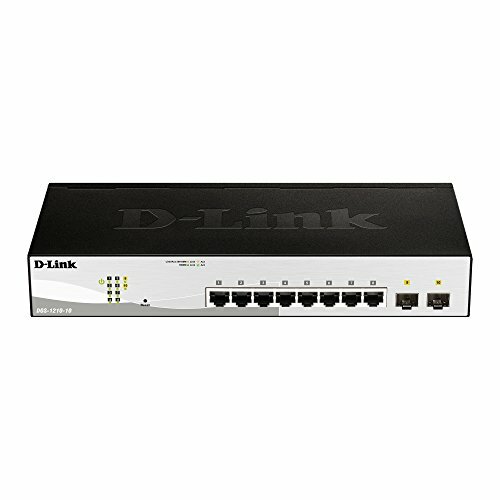 The DGS-1210 Series is the latest generation of D-Link Gigabit Web Smart Switches featuring D-Link Green 3.0 technology. The switches comply with the IEEE 802.3az Energy Efficient Ethernet standard. Support for IPv6 management and configuration features ensures your network remains protected after an upgrade from IPv4 to IPv6. By offering multiple management options, these switches allow quick deployment, infrastructure expansion, and seamless upgrades. Targeting small and medium sized businesses, the DGS-1210 Web Smart switches provide functionality, security, and manageability for a fraction of the standard cost of ownership. Equipped with a complete lineup of L2 features, these switches include IGMP Snooping, Port Mirroring, Spanning Tree, and Link Aggregation Control Protocol (LACP). D-Link's innovative Safeguard Engine protects the switches against traffic flooding caused by virus attacks. The switches also support 802.1X port-based authentication, allowing the network clients to be authenticated through external RADIUS servers. In addition, the Access Control List (ACL) feature enhances network security and protects the network by screening traffic from illegal MAC or IP addresses. ARP Spoofing Prevention prevents malicious intruders from sending massive fake ARP messages through a manipulated source. For added security, the DHCP Server Screening feature blocks rogue DHCP server packets from user ports to prevent unauthorized IP assignment. The DGS-1210-10 supports 8 10/100/1000BASE-T ports and 2 Gigabit SFP optical ports. The DGS-1210-10 carries a Limited Lifetime Warranty, furthering D-Link's commitment to product quality and long term customer confidence.